Darcy Donovan, known as both a singer and actress, is in YOUR control this month when she features in the Choose Your Own Adventure-style movie-game The Plumber. 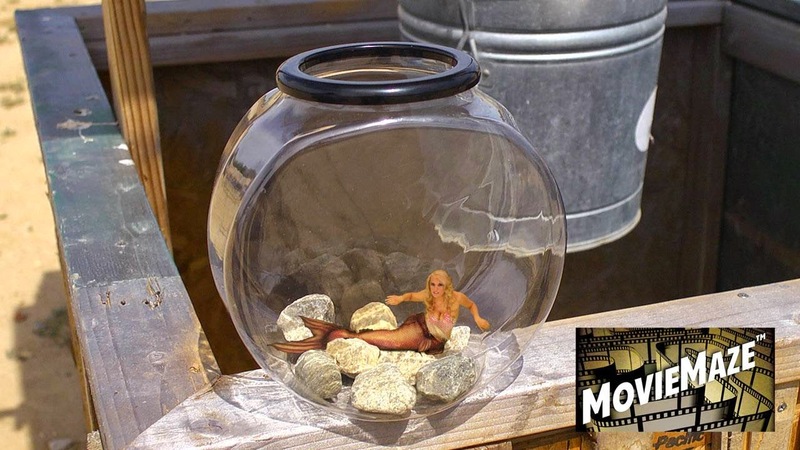 The latest episode in the MovieMaze series sees Donovan (Parks & Recreation, Anchorman) playing a mermaid opposite Brian Prisco’s tradesman. We spoke to Donovan to see how it all works! BGG After Dark: So, the question needs to be asked : Do you play games? What about phone games? Darcy Donovan: YES. I love to play games. I usually play games on my phone since, I am always on the go. If I have a little bit of spare time and I am not chatting with my fans I will jump on and play my "Music Monsters" game that features my music. It's so FUN and I love it so much! I have another game my songs are on called "Tap Studio Challenge" that I like playing that as well. I also like to play a game app called "Elevate". This game helps you learn and training your brain while also playing fun games at the same time. BGG After Dark: MovieMaze is an app. What kind of phone do you have? And have you had a chance to test the app yet? Darcy Donovan: I have a Galaxy Note 4 and I LOVE it! It's awesome! It is by far the best phone I have ever had. It's like have a computer and phone all in one,(laughter), if it could clean my house it would be the perfect phone! In regards to the game, I have already downloaded the first MozieMaze movie called "The Mechanic" and besides being a lot of fun to work on it was also a lot of fun to play and go through all the different choices for where the movie can go. I have not played "The Plumber" yet, but I am looking forward to it! I know it is going to be hilarious! BGG After Dark: How did you get involved in this wonderfully fun project? Darcy Donovan: They were doing a casting and looking for the female lead for the "Mechanic" and they choose me for the first MovieMaze project and the rest is history. They also brought me back for the second project which I was happy to be a part of, because it was so much fun. The filmmakers, Erik Lundmark, Maria Collis and Rishi Thaker are some of the most amazing people to work with. 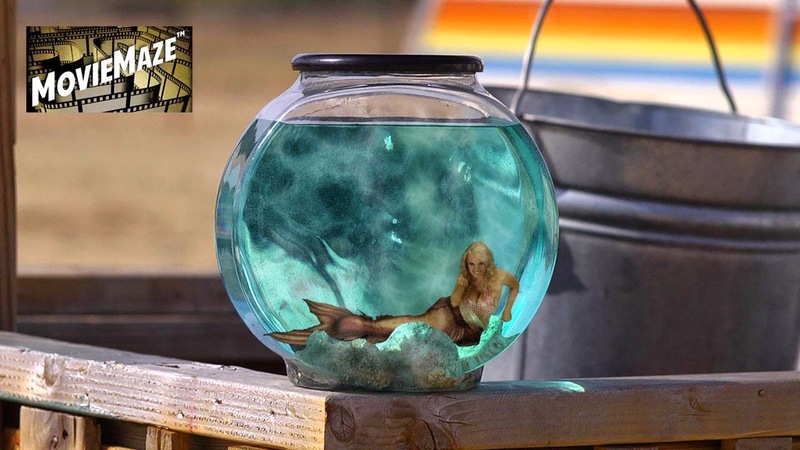 BGG After Dark: And your character is a mermaid? BGG After Dark: Did you have to wear a fish tail? First timer? BGG After Dark: Was The Plumber filmed like any other movie? Darcy Donovan: No, absolutely not. With all the different scene changes that could happen, it made learning all of the lines a lot more difficult. Since there are so many choices, the scenes all start the same, but end up dramatically different from one another. This made it a challenge to remember all the lines, but I loved it, since it was another notch on my belt for improving my skills as an actress. BGG After Dark: You work across a variety of genres – is there one you prefer doing more than the other? Darcy Donovan: Actually, it just depends on what the character is. I love working in all genres including comedy, action, drama and suspense. I have done all types of roles. Comedy comes very naturally to me. In real life I am a very fun and silly person and my mom always would tell me that I needed to be a comedian. A lot of times I would make people laugh and not even realize that I was doing it. People would call me Lucille Ball all the time. I find that I am also able to adapt to more serious roles as well, since I have been through so much in my life and can relate to many different scenarios.